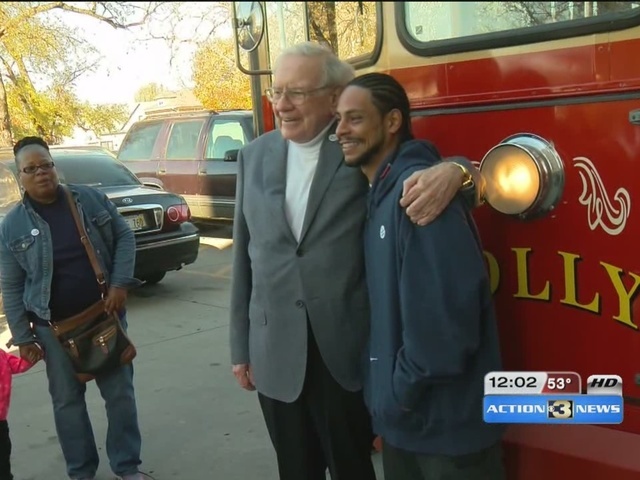 Warren Buffett followed through with his promise to get voters to the polls by offering free rides no matter which candidate the voter is supporting. The Oracle of Omaha promised during a Hillary Clinton campaign stop in Omaha to personally drive at least 10 voters to the polls. He challenged others to do the same. Buffett made good by renting "Ollie the Trolley"
On Tuesday morning, Warren Buffett was trolley bound as he worked to get out the vote. At his polling place in Midtown Omaha, he dropped his ballot and then took pictures with voters. He also made stops at Heartland Workforce in South Omaha and Evans Tower in North Omaha. 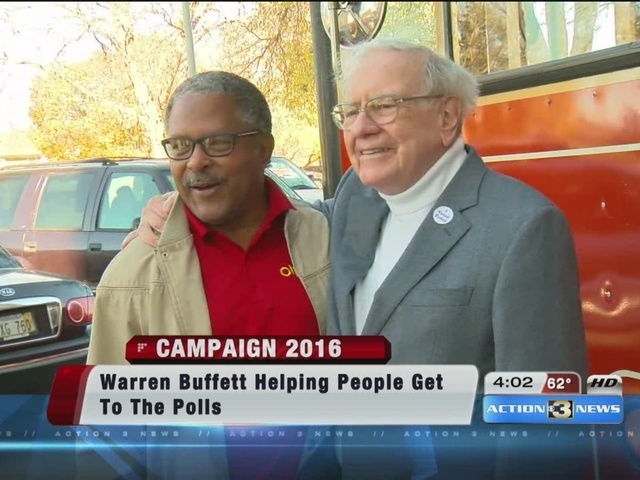 Voters told Omaha-based KMTV they were surprised to see Buffett at their polling places. Buffett told people about the Drive 2 Vote campaign in August at a Hillary Clinton rally. Organizers say they focused on North and South Omaha, where voter turnout is the lowest in the city. A community activist shouted through a megaphone at Evans Tower North Omaha where voters like Rashawn Simmons got a surprise with their civic duty. Warren Buffett talked about his voting experience. "I have voted since 1952," he said. "This is really an exciting election, there's no question about that."